Before we start this week’s column, there is an entry for Correction Corner to note. Integrity Southampton have been in touch objecting to my description of them last week as a “UKIP splinter group”. They point out, and I accept, that none of their candidates have any connection with UKIP. My apologies for the error. Our first poll is in a council with a political situation which may be familiar. The Conservatives are in power, but not in control of Thurrock council; they run the council as a minority administration, three seats short of an overall majority. This means that the Thurrock Conservatives have to rule by consensus and compromise, and it would seem that they have learned the trick of how to do so: the council’s budget for 2019-20, which included a freeze in council tax, was passed unanimously last month with support from the opposition Labour and independent councillors. It takes a certain kind of politician to do consensus and compromise well. Remember David Cameron? Wen he came to power in 2010 Cameron had the choice of trying to govern by minority or trying to forge a consensus with other parties for a more lasting government. He chose the coalition route. Readers might not agree with everything or indeed anything the Coalition government did, but it’s difficult to argue that the May administration is more strong, stable and effective at what it does that the Coalition was. When it comes to political crises, there’s one party that in recent years has reliably kept the purple touchpaper almost continually alight. It’s a while since Andrew’s Previews talked about UKIP, isn’t it? This column has a complicated relationship with the UK Independence Party, which monopolised your columnist’s local councillors until 2018 when councillor Paul Richardson lost his seat. Richardson wasn’t alone in that: every UKIP councillor who stood for re-election in May 2018 lost their seat. And it’s not just at the ballot box where UKIP are losing. Since getting popular support for their signature policy nearly three years ago the party is on its fifth permanent leader and has suffered defections like there’s no tomorrow. Nearly every sizeable UKIP council group has split down the middle at some point, and one such split cost the party control of Thanet council which had returned a UKIP majority in 2015. As the correction at the top of this column demonstrates, the party has spawned so many splinter groups it’s difficult for your columnist to keep up. Even Nigel Farage has had enough and formed his own new party in an attempt to rise like a phoenix from the UKIP ashes. One of the more sizeable UKIP council groups was in Thurrock. The party polled the most votes across Thurrock in the 2014 council elections, although it only won five out of sixteen wards; Labour carried six and the Conservatives the other five. One of the newly-elected UKIP councillors, Maggie O’Keeffe-Ray, died shortly afterwards; and the resulting by-election in December 2014 was won by a rising star of the party. Timür “Tim” Aker was born in Thurrock in 1985 to British and Turkish parents, and grew up in the village of Aveley. He read History and Politics at the University of Nottingham, and shortly after completing his studies stood for election to his home ward of Thurrock council, Aveley and Uplands. This ward is the point on the north bank of the Thames estuary where Greater London ends and Essex begins; the M25 motorway is the ward’s eastern boundary, while the A13 arterial road, the Tilbury railway line and High Speed 1 all pass through. Aveley is the main centre of population; a village which has received some London overspill over the years, it was a Conservative area until the advent of Coalition although not always safely so. A 31% score for the BNP in 2007 illustrated the potential for the populist right here. Things started to go wrong for the Aveley Tories in 2011, when a former Tory councillor for the ward stood as an independent and split the Conservative vote. The official Tories did hold the seat, but they polled only 28% of the vote in a close four-way result; coming in third with 24% was a 25-year-old Tim Aker standing for UKIP. UKIP broke through to gain Aveley and Uplands the following year in another close four-way result; with Aker now head of the party’s policy unit, it was Robert Ray who made the gain for them. Ray’s wife, Maggie O’Keeffe-Ray, made a second gain in May 2014 and turned Aveley and Uplands into a safe UKIP ward; on the same day Tim Aker was elected to the European Parliament, winning the sixth of the seven seats allocated to the East of England. When O’Keeffe-Ray died five months later Aker was the natural candidate to succeed her, and as stated he comfortably won the resulting by-election in December 2014 with 41% of the vote, to 29% for the Conservatives and 19% for Labour. By this point Aker was already the UKIP PPC for the Thurrock constituency, which even without the UKIP factor would have attracted lots of attention in the 2015 general election; the Tory MP Jackie Doyle-Price, who had gained Thurrock for the Conservatives in the 2010 election, was sitting on a majority of just 92 votes. By January 2018 the Thurrock UKIP group had had enough of the national party’s antics, and seceded from the party en masse to form a new party called the Thurrock Independents. 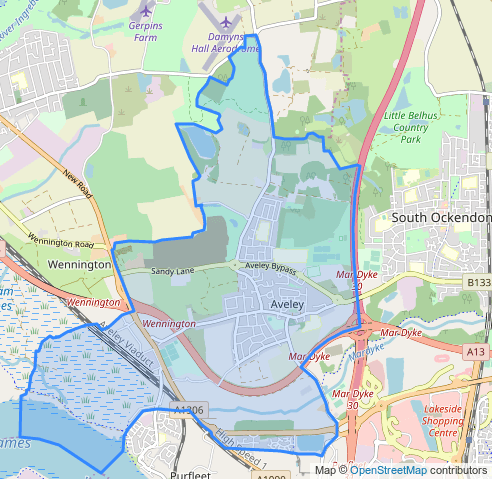 One of the Thurrock Independents’ councillors resigned immediately, and the resulting by-election in Ockendon ward resulted in a tie between the Conservatives and Labour on 696 votes each. The Tories won the drawing of lots and the seat. The May 2018 local elections saw Tim Aker being the only Thurrock Independents candidate to hold his seat, as the group lost three seats to Labour and one to the Conservatives. He was nevertheless re-elected fairly comfortably with 43% of the vote, to 27% for a rather interesting choice of Tory candidate and 24% for Labour. Aker has since resigned from Thurrock council causing this by-election; he has moved house away from Thurrock, and in his resignation statement also said that the ongoing political crisis had left him unable to properly fulfil his duties on the council. He remains for now a member of the European Parliament, having joined Nigel Farage’s new vehicle, the Brexit Party. Aker is only 33, so we may not have heard the last of him yet. In the meantime the Thurrock Independents have the job of defending this by-election. Their candidate is Alan Field, an RAF veteran and one of the driving forces behind the new Aveley community centre, being built by the council at a cost of £2 million. The Tories have reselected their candidate from 2018, a man who is already notable enough for his own Wikipedia entry. David Van Day found fame as a member of the pop group Dollar, scoring five Top 10 hits in the 1970s and 1980s, and after that became a minor celebrity. Day finished fourth in the 2008 series of I’m a Celebrity… Get Me Out of Here; that was a much higher placing than he managed in the 2007 local elections in which he was on the Conservative slate for the East Brighton ward of Brighton and Hove council, to little discernible effect. There have been three by-elections in East Brighton since then so this is not Day’s first appearance in Andrew’s Previews, but it is his first starring role. More orthodox is the Labour candidate Charles Curtis, who is hoping to return to Thurrock council after nearly four years away; he represented Belhus ward from 2007 to 2015. Completing the ballot paper is the ward;’s first Liberal Democrat candidate since May 2014, Tomas Pilvelis. For the second of our three by-elections in south Essex we come to a New Town. Vange is an old village – parts of its church, dedicated to All Saints, date from the late 12th century – but its housing is New Town development from the late 1960s. 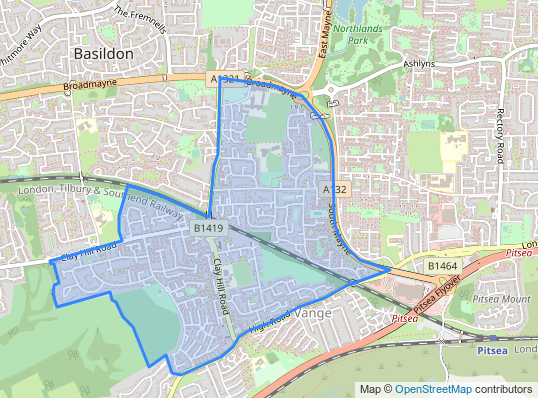 This is a ward with high levels of deprivation and low qualification levels; in fact Vange is in the top 10 wards in England and Wales for adults with fewer than five GCSE passes or equivalent, and social housing rates are very high. In a town noted for its political volatility, Vange has been one of the more constant Labour areas of Basildon. During the Blair and Brown years it was a Labour-Tory marginal but the Conservatives only won it once, at the Labour low point of 2008. The Tory vote has generally fallen away since then, although the 2015 result here was close three ways between Labour, UKIP and the Conservatives; the most recent district poll in Vange ward was another close result in 2016, when Labour’s Kayte Block polled 41% to 37% for UKIP and 21% for the Conservatives. The 2016 map is shown below. Since then we have had the 2017 Essex county elections in which this is part of the Basildon Pitsea division; in that year UKIP fell back and Labour lost one of the division’s two seats to the Conservatives. The 2017 general election a few weeks later saw a strong swing to the Tories in the local seat of South Basildon and East Thurrock, with UKIP (whose candidate was London Assembly member Peter Whittle) falling back badly and only narrowly saving their deposit. UKIP had done very well in Basildon in the 2014 local elections (in which Vange ward had a year off) but were wiped out in May 2018, and some poor by-election results since then have persuaded Basildon UKIP to throw in the towel. We finish our progression through South Essex in Southend-on-Sea. Milton is Southend’s town centre ward, covering the Central station, the northern half of the pier, the Western Esplanade and the suburb of Westcliff-on-Sea. This being a seaside resort, Milton ward is in the top 60 wards in England and Wales for private renting. Southend does have some jobs of its own in financial and other services (the Revenue’s VAT Central Unit is based here) but entertainment is the main economic sector in Milton ward; while Wescliff-on-Sea in particular attracts high numbers of commuters to London on the “misery line” into Fenchurch Street. 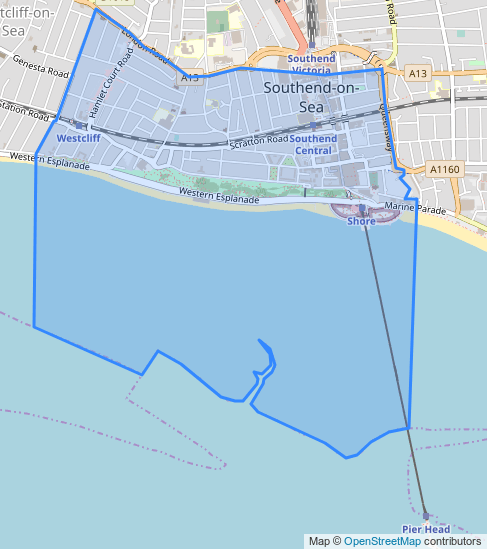 Southend-on-Sea council, along with Thurrock, declared independence from Essex as a unitary council back in the 1990s. 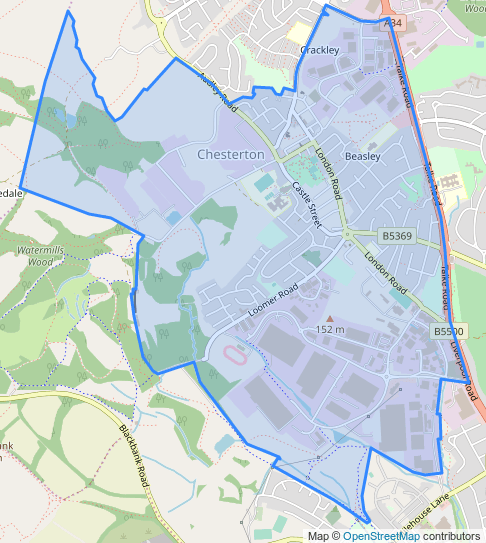 The new unitary status led to boundary changes in 2001 with a much-increased council size; the 2001 result was on the same day as the general election that year and Milton ward was close between the Tories and Labour, but after that Milton was a safely Conservative ward until 2011. Since then however it has swung a mile to the left: Labour gained two seats in the ward in 2012 and 2014, and only the general election turnout saved the final Tory seat in 2015 which was held with a majority of just 51 votes. Milton’s two Labour councillors were easily re-elected in 2016 and 2018, in the latter year with a 51-32 lead over the Tories. However, that didn’t stop the Conservatives regaining an overall majority on Southend council in 2018 after a period of no overall control, for part of which a “rainbow coalition” of everybody but the Tories had been running the town. For our London by-election we travel to the north end of Kensington and Chelsea, the smallest and most socially divided of the 32 London Boroughs. 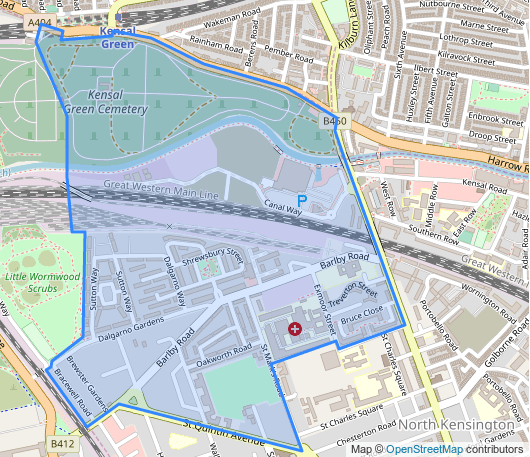 North Kensington is the working-class end; Dalgarno ward is the northern end of North Kensington, along Barlby Road and Dalgarno Gardens. The London Evening Standard described Dalgarno Gardens in 2000 as being one of the UK’s worst housing ghettos, with high levels of youth crime blighting the well-maintained 1930s flats which form much of the ward’s housing. This is certainly one of the more remote corners of London, a long way from the nearest Underground station; the Great Western and future Crossrail lines pass through, but there is no station within the ward. Dalgarno ward has only existed since 2014; at the time of the 2011 census this was the northern two-thirds of St Charles ward. St Charles was in the top 25 wards in England and Wales for social housing and for mixed-race population, in the top 40 for “other” ethnic groups, in the top 60 for population born in the Republic of Ireland, and in the top 90 for those born in the EU-14 countries. A quarter of St Charles ward’s population were born outside the EU, with the census picking up large numbers of North Africans and Arabic speakers. The major local employer is St Charles’ Hospital, a small NHS unit. The boundary changes which created Dalgarno ward brought in a large but sparsely-populated area to the north of the Great Western railway line mostly filled by a derelict gasworks, the Grand Union Canal and part of the large Kensal Green Cemetery, where many of the great and good of the past lie in eternal rest. There are plane for redevelopment of the gasworks site, with an Elizabeth Line station to serve it. Kensington and Chelsea is, as stated, very socially divided, and that social division feeds through into political division. 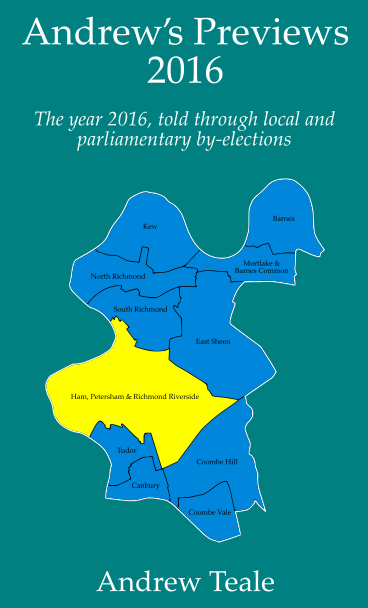 The borough’s wards are all either Labour monoliths or Tory monoliths with almost nothing in between; the 2018 election returned thirty-six Conservative councillors, thirteen Labour and one Liberal Democrat, which was a net change of just one seat from four years previously. Dalgarno ward is firmly in the Labour column, with a Labour lead over the Tories of 70-22 at the 2018 election; in the 2016 GLA elections, with a wider choice of parties, Sadiq Khan beat Zac Goldsmith in the ward’s ballot boxes by 54-25 while Labour beat the Conservatives 51-19 in the London Members ballot. One curious feature of the London Members ballot in 2016 was that Dalgarno ward produced the best result in London for the House Party, which polled 18 votes here (1.2%) and finished tenth out of twelve parties. You have to go up to Parliamentary level for actual excitement: in the 2017 general election Kensington was the last constituency to declare its result, Labour’s Emma Dent Coad gaining the seat from the Conservatives by just 20 votes after three recounts. In all probability, those 20 voters perished in the Grenfell Tower fire less than a week later. This is the first time that Andrew’s Previews has been to Kensington and Chelsea since the fire, as although there were munerous resignations among the council administration in the aftermath of the disaster, none of them resulted in by-elections. Councillor Robert Thompson, who at the time was assistant curate at St Clements Notting Dale close to the tower, became chairman of the Grenfell Recovery Scrutiny Committee which is responsible for holding the council to account over its handling of the disaster. 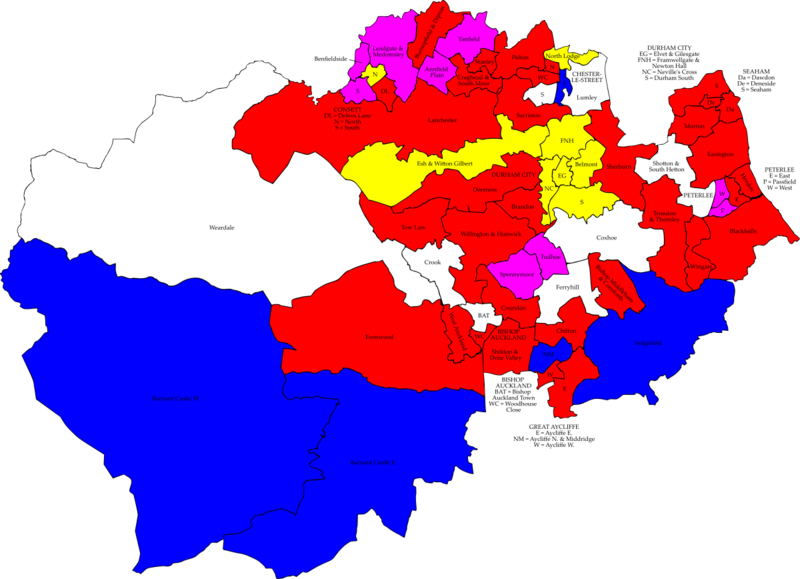 We move from the most marginal Labour constituency, Kensington, to the second most marginal, Newcastle-under-Lyme – although as Andrew’s Previews has noted previously the 30-vote Labour majority in Newcastle-under-Lyme two years ago is unsafe, thanks to gross mismanagement of that poll by the Newcastle-under-Lyme elections team. Hopefully this by-election will be better administered. We’re in a ward off the A34 road to the north of Newcastle, as it passes some large business and distribution parks. These cover the site of Holditch Colliery, which was once the major local employer providing 1,500 jobs. Many of those mineworkers lived in Chesterton, which was a classic pit village and as such was badly affected by the closure of Holditch Colliery in 1990 and of Silverdale Colliery in 1998. 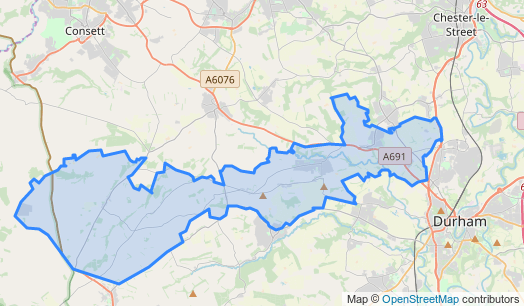 Newcastle-under-Lyme was one of the first councils where UKIP had a local government presence, and the Kippers won Holditch ward (the predecessor to this ward) in 2006 and 2014. The present ward was created in May 2018 and it would appear from that year’s result that Labour are back in control; they polled 52%, against 17% for outgoing UKIP councillor Kenneth Owen standing as an independent and 15% for the Conservative slate. Labour also hold the local county council division, Audley and Chesterton. They are the largest party on Newcastle-under-Lyme council, with 19 out of 44 seats plus this vacancy, but do not run the council; instead the Conservatives (with 18 seats) have a minority administration with the support of independent councillors. Newcastle-under-Lyme has moved away from elections by thirds, so the council’s next election will be in 2022. Defending this by-election for Labour is Peter Radford who describes himself as Chesterton born and bred. Last year’s runner-up Kenneth Owen will again try to get his seat back as an independent candidate. The Conservative candidate is Lawrence Whitworth, who appears to be a Keele University student. Completing the ballot paper are Mark Barlow for UKIP and Carol Lovatt for the Social Democratic Party. Also made in Langley Park was Sir Bobby Robson, the England footballer and manager who was brought up in the village; when Robson left school at 15 his first job was as an electrician’s apprentice at Langley Park Colliery. Slightly later than that, the pop band Prefab Sprout – who were from Witton Gilbert – went so far as to call their most successful album From Langley Park to Memphis. Langley Park and Witton Gilbert may have similar histories, but they have different political traditions. Until Durham’s local government was reorganised in 2009 Langley Park was in the Derwentside district, whose electoral politics was the usual coalfield pattern of Labour versus Independents; but Witton Gilbert was covered by Durham city council which was controlled by the Liberal Democrats. Those two traditions collided when the current division was created for the 2013 Durham election, at a time of Lib Dem weakness; and Labour won the 2013 election here with 43%, to 33% for the Lib Dems.